Manufacturing floors often require high safety standards and have to be durable enough to bear the most demanding conditions. Most of these spaces make use of products that are resistant to water, impact, pressure and corrosion; and with anti-static, conductive and anti-bacterial properties. High Performance Solutions, Inc.(HPS) has been implementing industrial flooring systems in several business fields for many years. We develop individual solutions that satisfy our clients’ industry requirements and guarantees long-term performance. 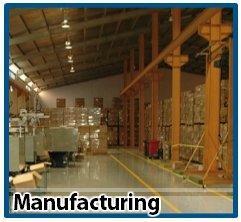 From material handling to installation, we make sure that our floors can handle all industrial conditions.